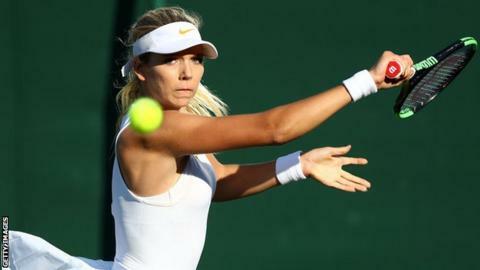 British number two Katie Boulter reached the last 16 of the Washington Open by knocking out fifth seed Aleksandra Krunic in straight sets. The 21-year-old saved a solitary break point as she beat the Serb world number 47 6-2 6-0 in 63 minutes. Boulter, the world number 118, will face Allie Kiick of the United States in the next round on Wednesday. Russian two-time Grand Slam champion Svetlana Kuznetsova also progressed, beating American Kristie Ahn 6-2 6-1.